Robin Schleifer Weiss joined Haggerty, Goldberg, Schleifer & Kupersmith, P.C. in 2011. Robin is a member of the firm’s professional liability and involved litigation department, and primarily practices in the prosecution of physicians, nurses, hospitals and other healthcare providers in medical professional liability litigation. Ms. Weiss also has significant experience handling personal injury matters including car accidents and slip and falls, insurance coverage disputes, and insurance bad faith. She has worked on numerous appeals to the Superior Court, the Court of Appeals for the Third Circuit, and the Supreme Court of Pennsylvania. 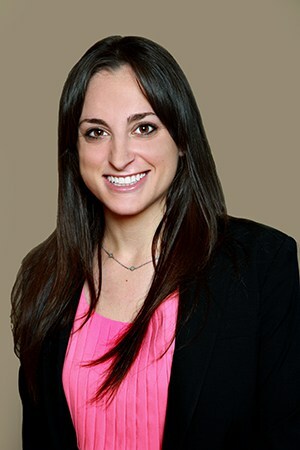 Ms. Weiss is licensed to practice law in Pennsylvania and New Jersey. She has presented at numerous Continuing Legal Education seminars, discussing topics such as distracted driving, punitive damages, and civil procedure. She was selected as a Pennsylvania Super Lawyers Rising Star in 2015, a designation awarded to no more than 2.5 % of the lawyers in the state of Pennsylvania. Super Lawyers Rising Stars are selected from a pool of candidates recognized by peers for excellence in legal practice and professional achievement. While a law student at the University of Pennsylvania, Ms. Weiss was the executive editor of the University of Pennsylvania’s Journal of Business Law and was co-chair of the Animal Law Project. She was awarded the Outstanding Pro Bono Service Award in recognition of her completing more than 120 hours or pro bono work during her time at Penn Law. Her participation in the Penn Law Mediation Clinic allowed her to hone her mediation skills. She also served as a legal intern at the Philadelphia Adult Probation and Parole Department for the Court of Common Pleas. During her legal studies, Ms. Weiss served as a legal intern at the Philadelphia Adult Probation and Parole Department for the Court of Common Pleas. She also interned at four different law firms during law school, which provided her with well-rounded experience in the fields of medical malpractice, personal injury, product liability, and commercial litigation. If you need help with a medical malpractice, insurance coverage or personal injury matter, she can help you take legal action.